The IT-170 is a life-sized female love doll by Irontech. The IT-170 has a body height of ca. 170 cm and weights about 45 kg. Body measurements: 91 cm (breast line) / 71.5 cm (underbreast line) / 64 cm (waist line) / 108 cm (hip line) / 57 cm (thigh line) / 32 cm (calf line) / 23 cm (feet size) / 35 cm (shoulder width). The IT-160 is a female TPE love doll by Irontech. Height: 160cm, Weight：43kg. This doll is made of TPE. Body measurements: Breast line:91cm / Waistline: 64cm / Hip line: 108cm / Thighline: 56cm / Calfline:30cm / Shoulder width: 35cm / Arm Length: 65cm / Leg length: 70cm. 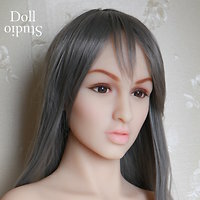 Alisa is a female head by Irontech Doll. 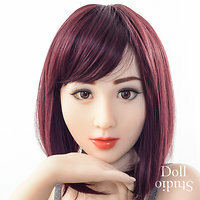 Sandra is a female head by Irontech Doll. Bella is a female head by Irontech Doll. Anna is a female head by Irontech Doll. Suzie is a female head by Irontech Doll. Akisha is a female head by Irontech Doll. Lora is a female head by Irontech Doll. Ayumi is a female head by Irontech Doll. 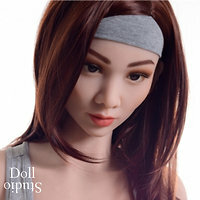 Jennifer is a female head by Irontech Doll. Hellen is a female head by Irontech Doll.